Harry turns one – already! It’s hard to believe our “new” pup is already one! He was 3 months old when we adopted him from New England Lab Rescue and the past 9 months have sure flown by. There is no doubt that he has firmly captured our hearts and has become a beloved member of the family. 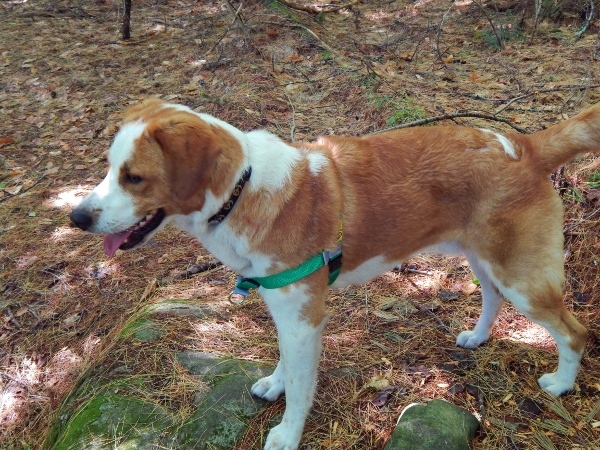 He is a fun mix of calm & cuddly, playful & curious with a few interesting little quirks thrown in. He loves the ajuga that grows on the front lawn and wants to stop and roll in it on the way home from our walks. He is afraid of full flights of stairs and has yet to walk to the upstairs of our house by himself yet climbs mountains like a billy goat. And he loves, loves to run. 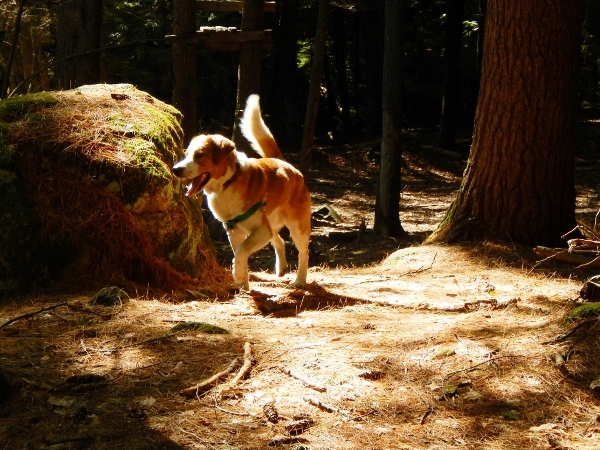 It is great fun to watch him dash through the woods full-tilt with an attitude of pure joy. At the moment, the poor little guy is laid up with a cut on his paw from his latest running adventures. His crying during the night when he finally came down from the anesthesia for his stitches was purely pitiful. Fortunately, today has been much better and we are hopeful he’ll back to himself soon. He will get to spend his second week of recuperation on vacation on the coast of Maine. Lucky dog!